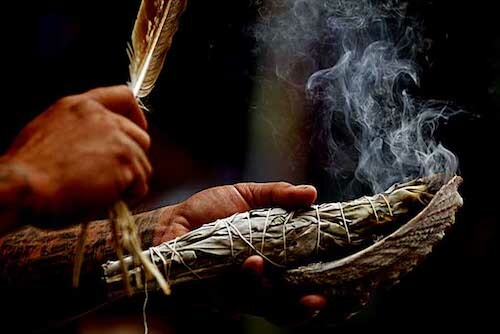 Smudging is the burning of certain herbs to create a cleansing smoke bath, which is used to purify people, ceremonial and space, and ceremonial tools and objects. Many differing cultures and peoples have their own methods and herbal mixtures for this purpose. Smudging, done correctly, can bring physical, spiritual and emotional balance. It is also used to rid negative energies as well as a protection for the physical and spiritual body. The term Smudging originated in the Native American culture. Native American Indians use a variety of smudging mixtures, depending on tradition and required effects. The most common method of smudging is the use of a smudge stick. A smudge stick is a bundle of dried herbs, most commonly white sage. Often other herbs or plants are used or added and the leaves are usually bound with string in a small bundle and dried. Some other herbs and spices that are often used include c, cedar, lavender, sweetgrass, copal, and Palo Santo, none of which are native to the Americas. They have a strong, pleasant aroma when burnt. 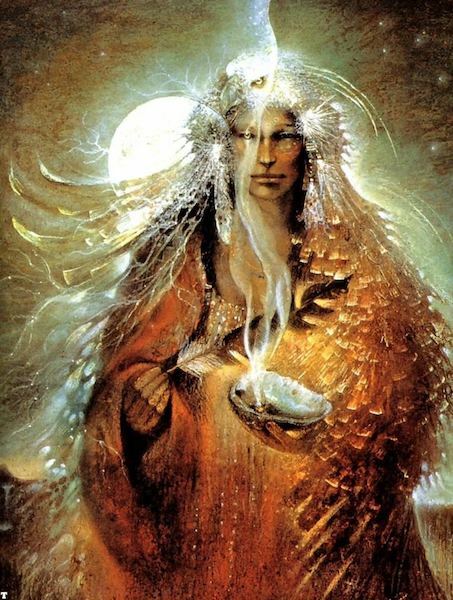 Smudging is the burning of herbs with the intent to bring about/manifest a desired change in one’s emotions, thoughts, surroundings and reality. Smudging can clear stagnant or negative energy from any home or place. It is good practice to do this when you move into a new home as it will open the space for you to have a beautiful energy to live with. If you live in a older home /building it can collect a lot of previous residents energy & clearing this will enable you to really feel it is your home.